The story pivots on two sisters, Elinor and Marianne Dashwood, personifications of good sense and sensibility, respectively. They suddenly become destitute upon the death of their father, who leaves his home, Norland Park, not to them, their younger sister, and their mother but to their stepbrother, John. Although instructed to take good care of his sisters, John is dissuaded of his duty by his greedy wife, Fanny. The family moves to a modest home in Devonshire. The passionate and enthusiastic Marianne becomes infatuated with the attractive John Willoughby, who seems to be a romantic lover but is in reality an unscrupulous fortune hunter. He deserts her for an heiress, and she eventually makes a sensible marriage with Colonel Brandon, a staid and settled bachelor. Marianne’s older sister, the prudent and discreet Elinor, is constant toward her lover, Edward Ferrars, Fanny’s older brother, and, after some distressing events, marries him. The novel had a long period of gestation. 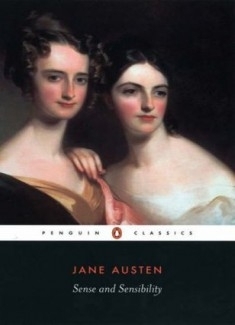 It was initially begun in 1795–96, when Austen was but 19 years old, as a sketch entitled Elinor and Marianne, and she significantly revised it 1809. It was her first published novel, she paid to have it published, and it contained all of the elements of her trademark features to come: insightful observation, astute characterization, and dazzling wit. There has long been debate whether Austen favored one quality over the other—sense or sensibility—or whether she favored an equal dose of both as the best recipe for life.